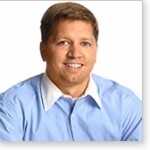 Captain Compliance to the Rescue: Simplifying Export Compliance! As companies continue to grow, so too do the total shipments and countries in their global supply chain, further complicating existing export compliance processes. Whether it be restricted party lists, export controls, license requirements, or the various regulatory risks exporters face on a daily basis, an automated and configurable solution is needed to make things easier - that's where Captain Compliance comes in! Feeling the Winter's Cold? 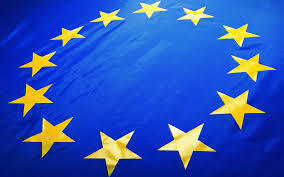 For Export Controls, It's Hot in Brussels! On 19 December 2017, Amber Road joined hundreds of trade professionals at the 2017 Export Control Forum in Brussels hosted by the Estonian Presidency of the Council of the European Union and the European Commission. The Forum was a great opportunity to participate in discussions about the ongoing export control programs in the EU and learn about the current legislative developments regarding the proposal for a modernisation of EU export controls. High-ranking speakers from EU institutions and international organizations discussed several important topics around export controls including the new proliferation threat landscape in 2017. Amber Road proactively participated and the key points of the conference are summarized here. With Miami’s beautiful beaches and year-round warm weather, it’s hard to have many worries – unless you are facing deemed export risks. 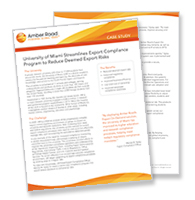 With increasing local, state and federal regulations, the University of Miami (UM) realized its current export compliance processes were reactive and could not effectively manage risks. UM needed a way to improve its export compliance program. To achieve its goals, UM implemented the restricted party screening module of Amber Road’s Export On-Demand solution. They also use Amber Road to streamline and manage their export license requirements, as well as address challenges in identifying export control classification numbers (ECN) and harmonized tariff schedule (HTS) numbers. Every year I attend a number of industry conferences focused on global trade compliance. I speak with a lot of different people at these events, and they hold a range of job responsibilities, with varying degrees of trade compliance expertise. One of the questions I am frequently asked is: What trade regulations should I be concerned about that I may not be aware of today?